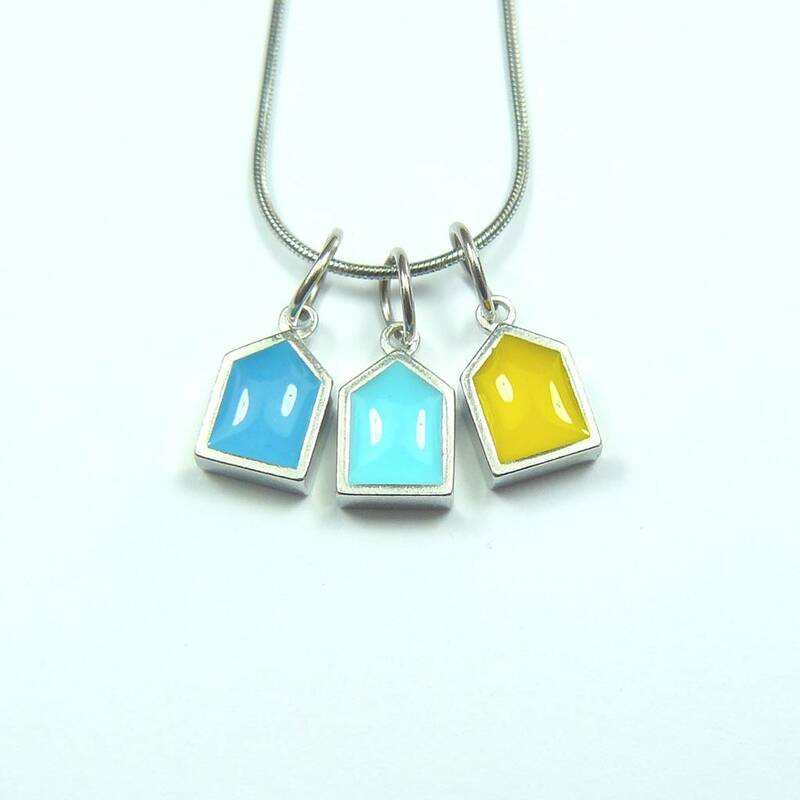 This beautiful necklace evokes happy seaside memories. Elegantly simple, this pendant is cheerful and brightly coloured with blue, torquise and yellow hanging beach huts. Elegantly hung from a stainless steel snake chain, the pewter and resin charms are fashioned from high quality UK sourced pewter which is 100% recycled and ethically sourced from fair trade suppliers. Completely lead and nickel-free, it is also alergy free, making it ideal for those who stuggle to wear certain metals without a reaction. The thick stainless steel snake chain is adjustable in length (via a chain link extension) to suit your preference. The chain is of the highest quality materials, extremely strong, tarnish free and completely allergy free.